Three schools are involved in this project. 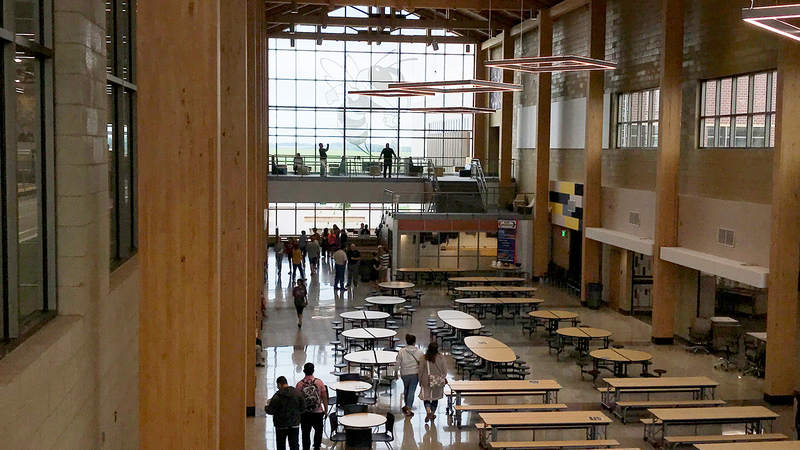 The new high school is a significant addition to the middle school. TSP offered planning and pre-referendum support services before a successful bond vote. Collaborating with district stakeholders and a local architect at bhh Partners, our team helped guide a diverse facility task force of community members to assess existing facility and educational needs. The task force met six times to provide input and give feedback. Then, our team created design renderings, folding self-mailers, and other materials to help secure a more than $40 million bond. 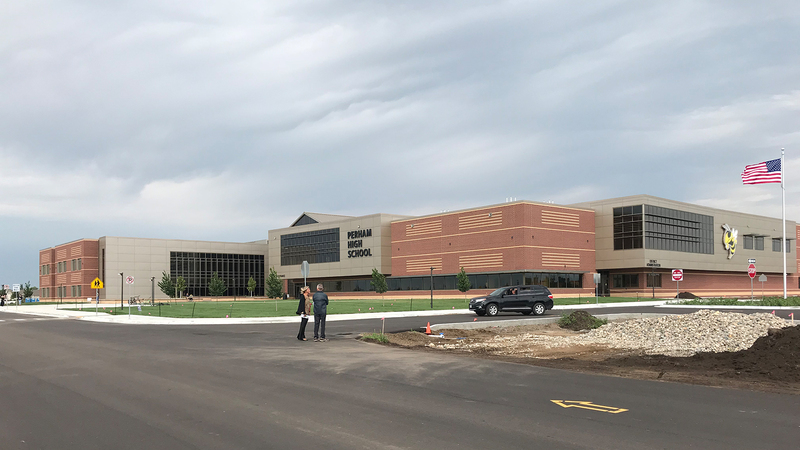 The successful effort means a new high school for the community―as well as additions and renovations for the existing elementary and middle schools. The project added a new classroom wing and gymnasium at the elementary, plus relocated early childhood education programs. The overall work created a campus to reunite all three education levels for the first time in 25 years. 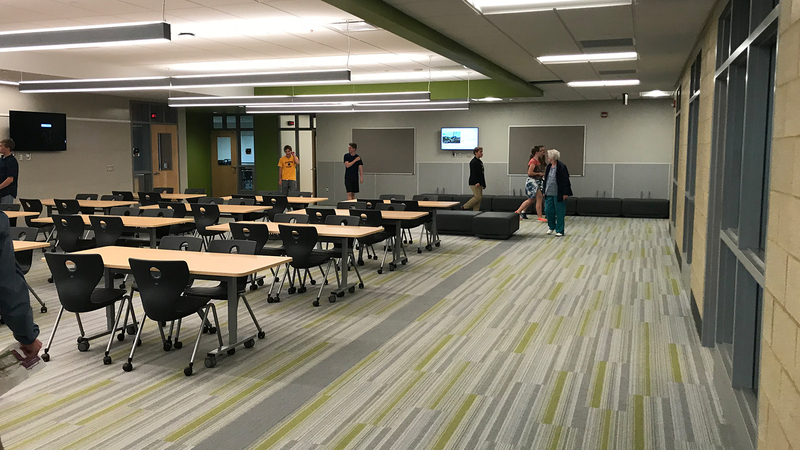 The all-new senior high opened for the start of the 2018-2019 academic year. 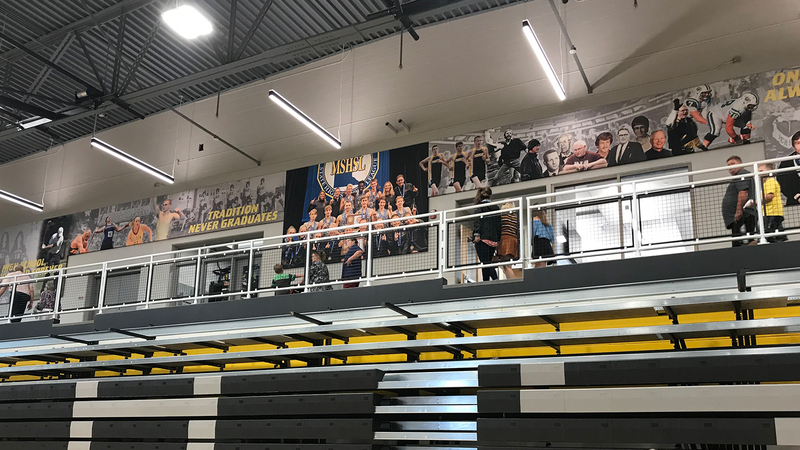 Created as a significant addition to the current middle school facility, it’s designed for a core capacity of as many as 650 students. The team substantiated the space program, evaluated adjacency requirements, and refined layout solutions for the addition as well as the exterior design. TSP led the group to develop project-guiding principles, serving as the consulting architect while also providing structural engineering and interior design services for the full project. 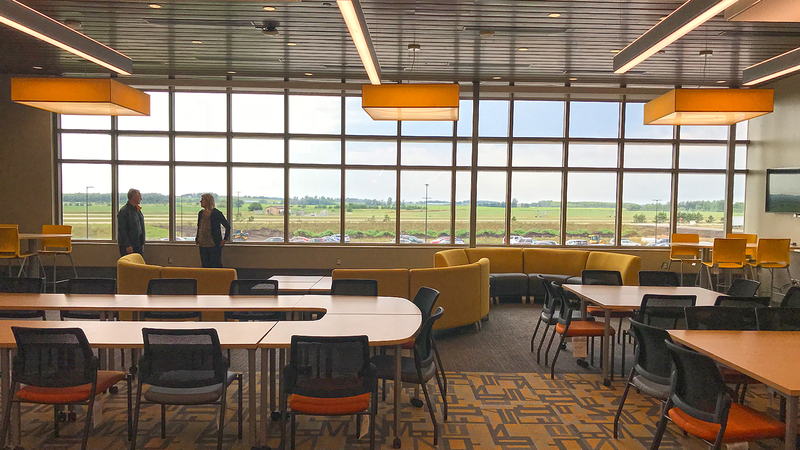 The work includes a secure entry with administrative suite as well as a receiving area and an airy commons adjacent to the full-service kitchen. 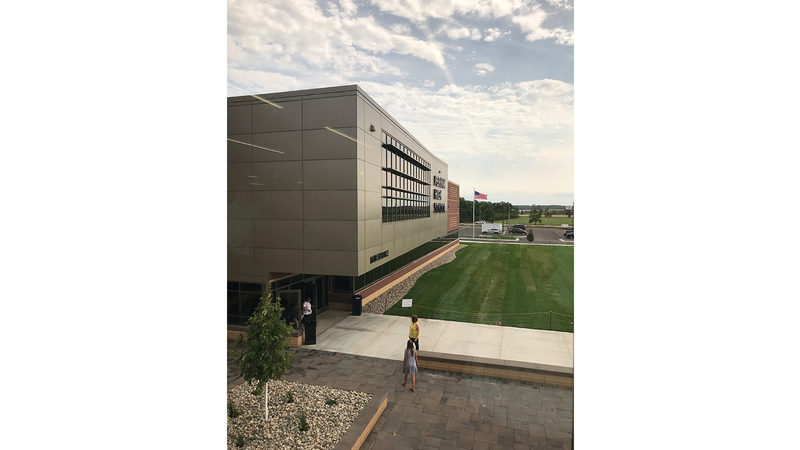 The facility enables multiple learning styles with a main academic wing, dedicated spaces for special education, an alternative learning center, a media center, and wood and metal shops as part of a 15,580 sf career tech center. 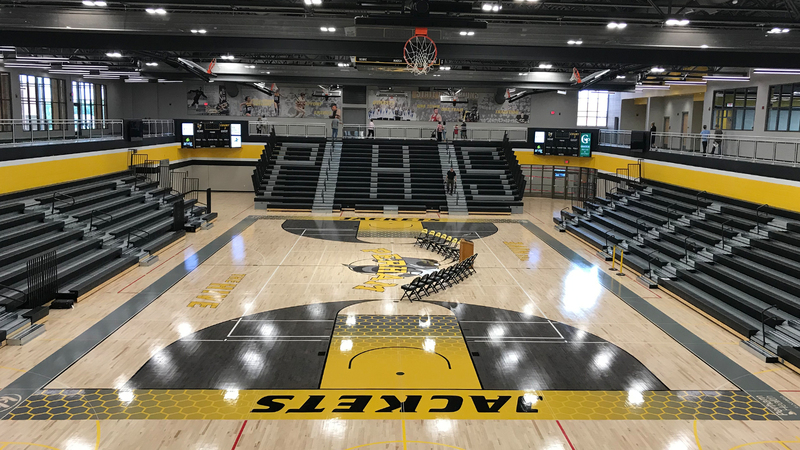 The fine arts section features private rehearsal/recording sound booths, while the gymnasium includes three courts and is supported by locker rooms and coaches’ offices. There’s also a separate fitness room, a wrestling and weights area, and a health department.